At Select Systems we pride ourselves on delivering a professional, efficient and reliable service to constantly achieve customer satisfaction. we have an excellent knowledge and experience providing security, electrical and mechanical systems and engineered solutions.. 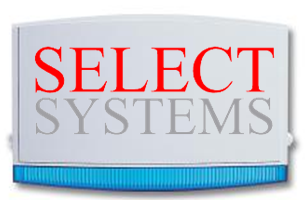 Select Systems provide a professional approach to your engineering andsecurity requirement to domestic, commercial and industrial customers, we will review your requirements and advise on the equipment and installation required to compliment and/or protect your property. Our aim is to ensure our customers are 100% satisfied with our work. We offer a complete design installation, service and repair of all types of intruder alarm systems, we install the latest hard-wired systems, or some of the best wireless systems, please contact Select Systems for a quoatation today. A good quality house alarm is an important part of the overall package of security measures for your home - perhaps the most important. We offer the complete design, installation, service and repair of all types of electrical systems, contact Select Systems with your enquiry for any electrical system. We offer the complete installation, service, maintenance and repair of all types of mechnical systems, which include conveyor systems, auto packing machine, hydraulic and pneumatic systems, contact Select Systems with your enquiry for the complete range of mechanical engineering solutions.